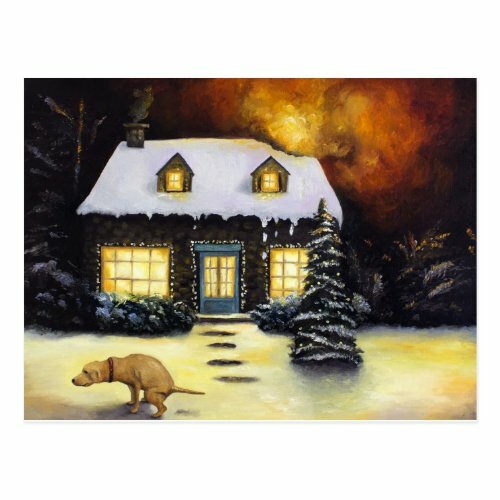 Funny, humorous, hilarious art, on the lines of painter Thomas Kinkade's famous paintings. Starring a pet Labrador engrossed in its evening ablutions on the snow covered lawn, ruining a beautiful setting straight out of one of Kinkade's works. Featured here on a postcard. Makes a great, fun mail for pet and dog lovers, Labrador owners, pen pals, and a shock - funny - surprise for art lovers.